Toro Salao entered our radar after having eaten a pretty darn tasty Bacalao Croqueta (codfish croquette) they were selling during the SoFo Culinary Fest a week or so ago. (Toro Salao is one of the newest concepts from the OOF Restraurants family.) The croqueta was crisp on the outside, warm and gooey on the inside, and had really good bacalao flavor. We believe that if you can make a yummy croquette, chances are you can make more yumminess out of other things. 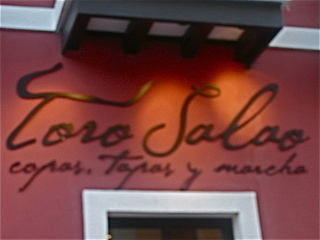 Would our belief prove true or false when we visited Toro Salao for dinner? Let's find out. We've been hearing about this place for YEARS. Why we never visited before last week beats us. But we finally decided to go and can't believe we waited so long to do so! Sorry. We can't sugar-coat the situation. And we won't. 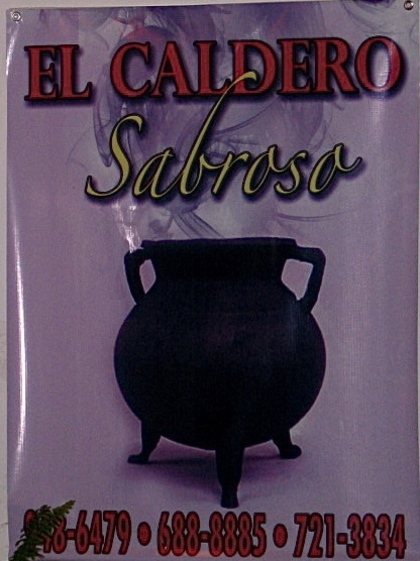 That's why we started moncheoPR - to eat around PR and write about it - a calzon quitao - as a reader mentioned the other day. The current options for SUSHI in PR leave a lot to be desired. The situation is bleak and becoming grimmer. 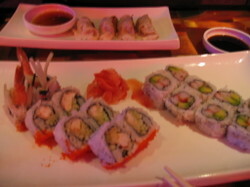 Freshness, especially in sashimi and raw fish options, as well as authenticity, are at times lacking in most places. It has gotten to the point where most of our friends are at the brink of not even attempting to eat Sushi ever again in PR. While others already decided they have given up on Sushi and pretty much all Asian options in PR. This saddens us, yet motivates moncheoPR to not give up on the search for good Sushi and other Asian food in Puerto Rico. Ya varias personas me habian mencionado dos sitios en Plaza Las Americas que querian que visitara. moncheoPR decidió visitar uno de ellos esta semana antes de su visita a West Elm. ¡Qué Pasta! is on the 1st floor of Plaza, across from the JCPenney entrance. 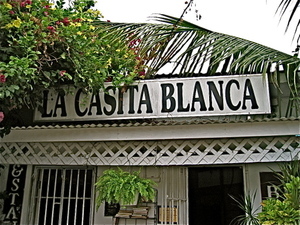 Right next to it is what I believe is its sister restaurant - Ponte Fresco - which is a classic "build-your-own-salad" joint. Don't know if they're related, but seems like it. Pa'lla iremos la próxima vez que nos de hambre mientras compramos.